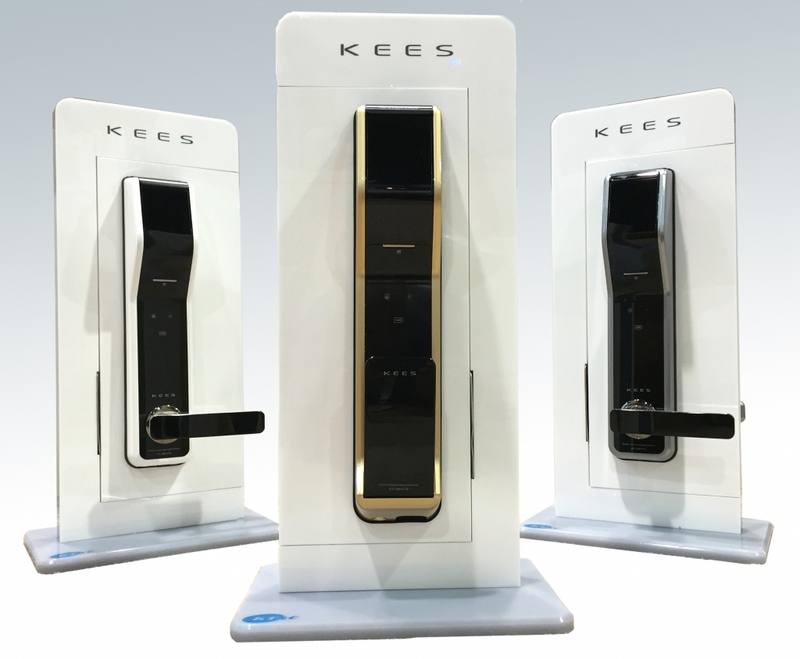 April 16, 2015 – The KEES™ iris recognition door lock from Korea Technology and Communications (KT&C), powered by SRI International’s Iris on the Move® (IOM) technology, was named Best in Locks, Safes and Hardware by the Security Industry Association (SIA) New Product Showcase (NPS) at ISC West 2015. This is the sixth time that SRI security products have been recognized for excellence in this competition. The KEES residential door lockcombines the accuracy of iris biometrics with the ease of a push-pull handle for simple, keyless access at a glance—eliminating the need to fumble for keys, enter a PIN or put down the groceries. Traditional keypad-only door locks may recognize what has happened (i.e., a PIN code was entered), but do not confirm individual identity. The KEES lock brings the security and convenience of iris authentication to the home user. The NPS, sponsored by the SIA, is held annually in conjunction with International Security Conference (ISC) West in Las Vegas to recognize the best security product innovations. Since its inception in 1979, the NPS has been the security industry’s premier awards-based marketing program. This year’s NPS program had more than 100 entries. Since 1996, Korea Technology and Communications (KT&C) has been a global leader in the manufacturing of video surveillance equipment. Earning the respect of our industry through innovation and performance, our products are the most technologically advanced on the market. From acquisition of components to research and development, we have never lost sight of our goal—to ensure the safety and security of our customers.